Ottawa Jeet Kune Do Martial Arts & Fitness is a martial arts family dedicated to the perpetuation and preservation of the art and philosophy of original Jeet Kune Do as it was taught by its founder, Bruce Lee to original student Sifu Jerry Poteet. Jeet Kune Do is the martial art created by the late Bruce Lee. It is the only non-traditional form of kung fu in the world. In Jeet Kune Do, the individual is more important than the style or system. Its primary aim is the true self-expression of the individual. 4. The elimination of passive moves, always HIT! As a non-classical fighting art, Jeet Kune Do is based on skill, not on how many techniques, arts or forms you know. “Jeet Kune Do favours formlessness so that it can assume all forms and since Jeet Kune Do has no style, it can fit in with all styles. As a result Jeet Kune Do utilizes all ways and is bound by none and likewise uses any technique or means which serves its end.” – Bruce Lee. 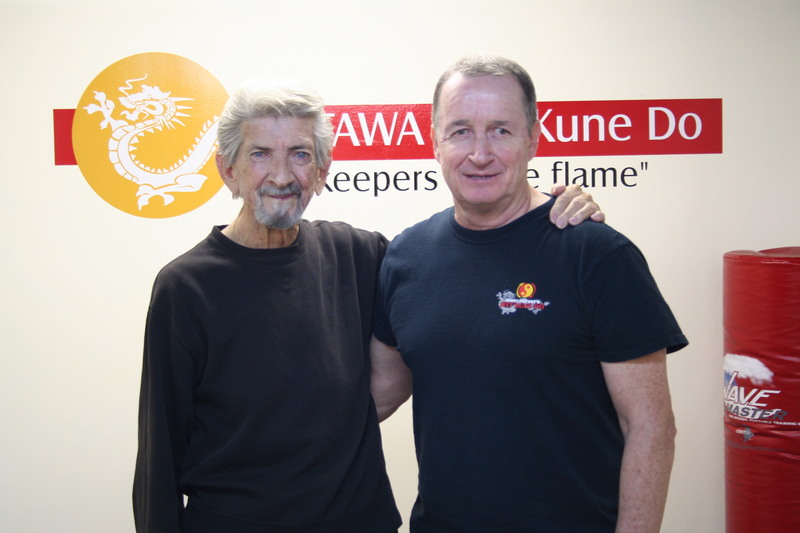 Ottawa Jeet Kune Do’s founder and head instructor, Sifu Darryl D’Amico, trained privately with renowned Bruce Lee original student, Sifu Jerry Poteet, from 2005-2012, and earned the rank of JPJKD Full Instructor. Before beginning his Jeet Kune Do journey, Sifu Darryl trained for 13 years in the art of Modern Wing Chun, earning the rank of black sash. He has also been certified a Level 6 instructor in Commando Krav Maga, a Level 2 instructor in Commando Krav Maga Super Kids, and a Level 2 instructor in Women’s SmartSafe Self-Defense, through CKM founder Moni Aizik. Contact Head Instructor Darryl D’Amico at 613-266-6614 or ottawajkd@gmail.com for more information and pricing. Copyright © 2018 Ottawa Jeet Kune Do. All Rights Reserved.